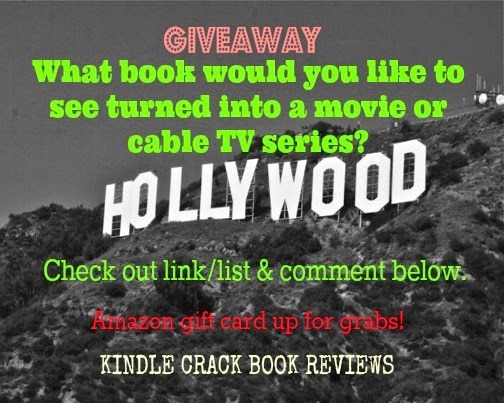 AMAZON GIFT CARD GIVEAWAY - What book would you like to see turned into a movie or, cable TV series? -TAG a friend for more chances to win. -One random winner picked on 4/21 at 8pm to receive a $5.00 Amazon gift card. I am 100% responsible for this giveaway! It is not sponsored, administered or endorsed by Facebook in any way.